I have never been one for promoting pro-life. I am pro-life, however. That is when it comes to decisions, physically, in my own life. Not someone else’s. Being a lesbian, I have no need for birth control. Still, when I had been younger…and indecisive, birth control from Planned Parenthood, fit into my low income budget. And, after coming fully-out? 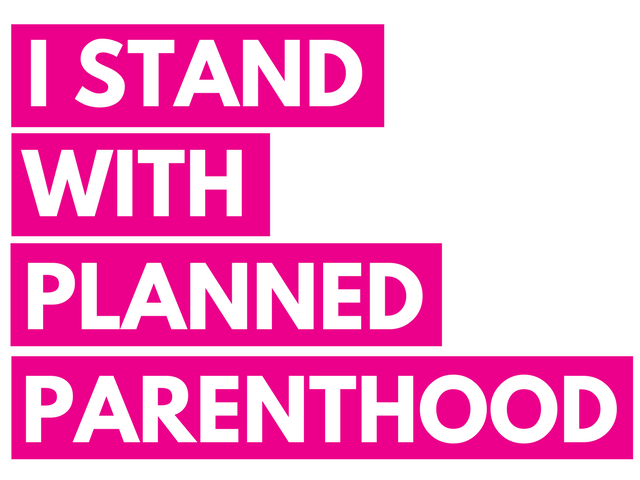 Planned Parenthood had remained my healthcare provider for all my ‘female’ exams! In these days of appointing Provincial Judges to a higher court and electing right wing officials, our freedoms are dwindling…a little at time. Slipping budget cuts in between the moments of #45’s latest debacle. The White House plans to issue new guidelines for Title X, the only federal program dedicated to paying for birth control. The new rule is expected to require a “physical as well as financial separation” between entities that receive Title X funds and those that provide abortions. Title X provides birth control, screening for sexual transmitted diseases and reproductive healthcare. Over 40% of Planned Parenthood’s clients receive these services. Early abortion bans, known as ‘heartbeat bills,’ are being proposed in at least ten states. So far, those in Missouri, Mississippi, Tennessee, Georgia, and Kentucky have advanced the farthest in state legislatures. Again, slowly and quietly, a woman’s right’s’ to make informed, healthy choices, are falling away with the slightest stroke of a pen.